Told you I'd have a pumpkin recipe soon! I actually made these several days ago but I'm just now getting around to posting them because of some technical issues with my computer. I'm still not sure what is going on but I found a way around it which will do until I can figure out how to permanently fix the problem. I hope everyone has a fantastic New Years Eve and a fabulous 2013! I plan on spending the night with friends and some kind of sparkling drink. Look for new recipes here in the new year! 1. 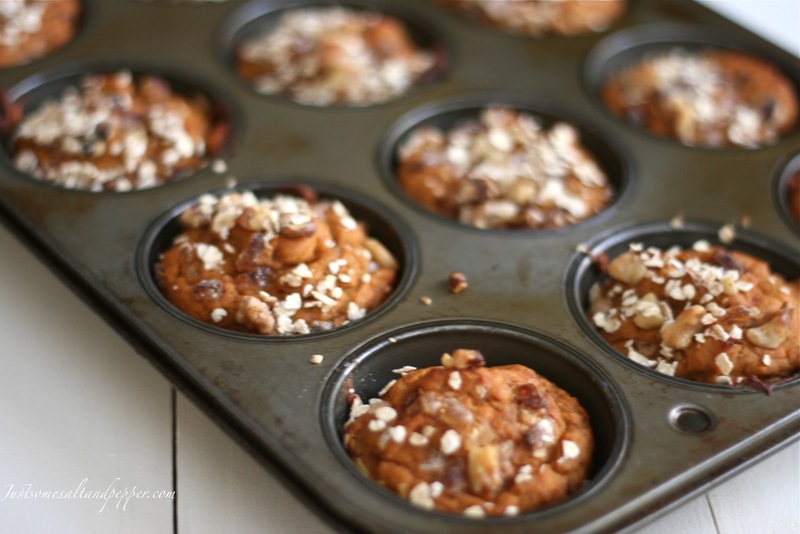 Preheat your oven to 350 degrees F and spray muffin tin with baking spray. Whisk together flour, baking powder, baking soda and spices in a medium bowl. 2. In your stand mixer, mix together applesauce, pumpkin and yogurt, egg and sugar; add in dry ingredients and mix until just combined. 3. 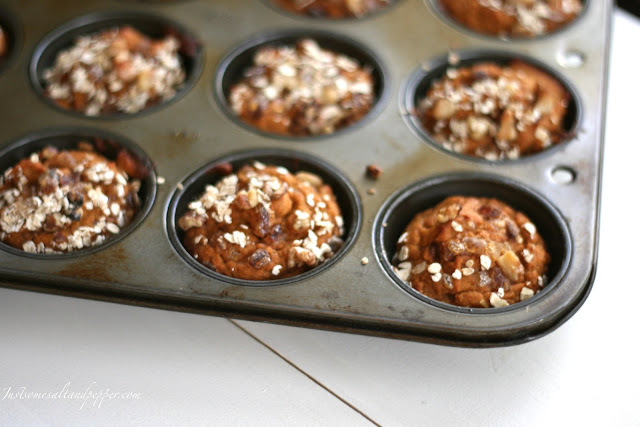 Fill muffin tins almost to the top and sprinkle raw sugar, walnuts and oats evenly over the top; bake for 30-35 minutes; when done cool on a cooling rack. Oh noo another recipe to add to my pumpkin addiction!! !